Mix the traditional curves of old world d̩cor with the simple lines of modern city design for the perfect combination of cozy and chic. 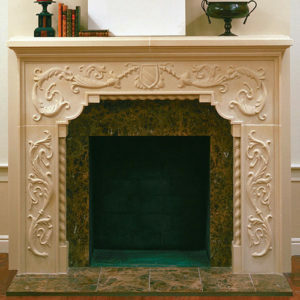 The Urban stone mantel is the perfect way to align styles and invite family to gather around a warm space. Get to know our unique USA made limestone, boasting the same look and feel of quarried stone that’s guaranteed to delight.